GO to the french pages:.. 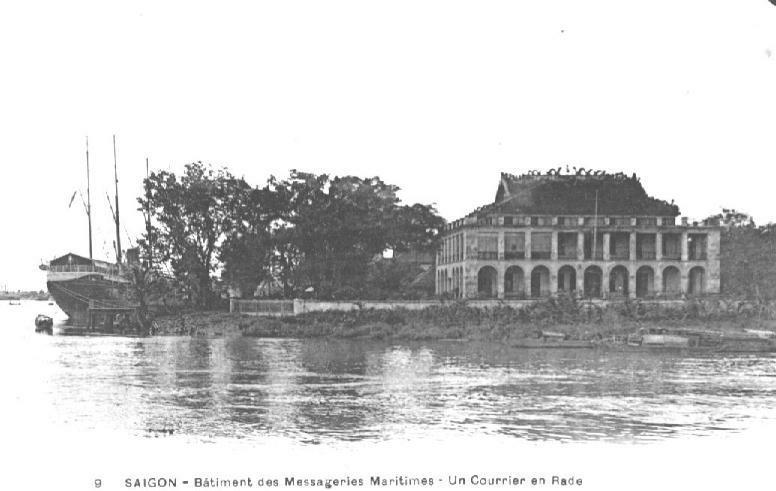 This site is dedicated to the Messageries Maritimes line, this great french venture wich, over the decades, permitted thousands of men and women to link the Colonies... At a time when Colonies was written with a big C, and when it required up to two months to go from Marseille to Saïgon or to Australia. 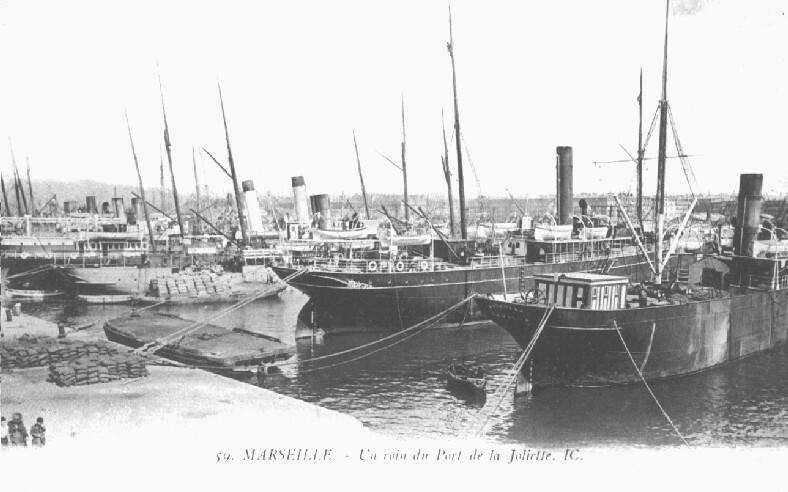 The ships left Marseille and the harbor of La Joliette, the embankement wharf of the company. 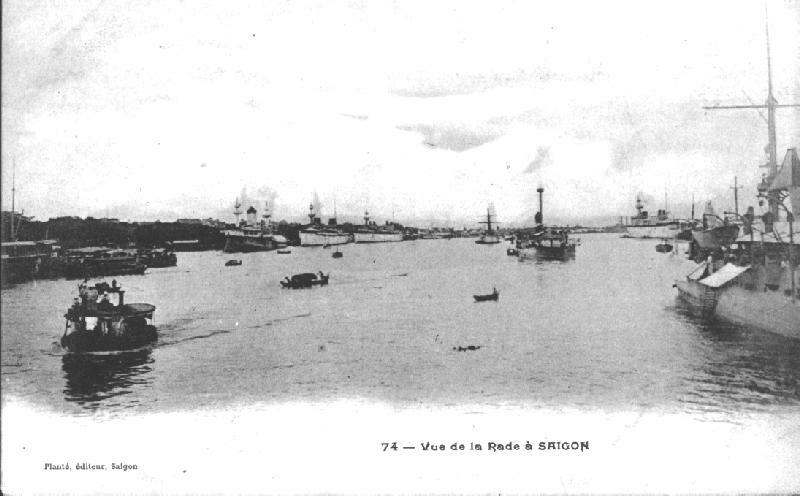 Afterward rounding Sicilia, Crete and the port of call Port-Saïd, they passed through the Suez canaland sailed to the Extreme East and Saïgon (the second great home port of the company), or went down along the east coast of Africa to link the Reunion Island or Madagascar. 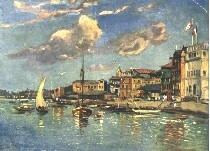 from a ship of the company. 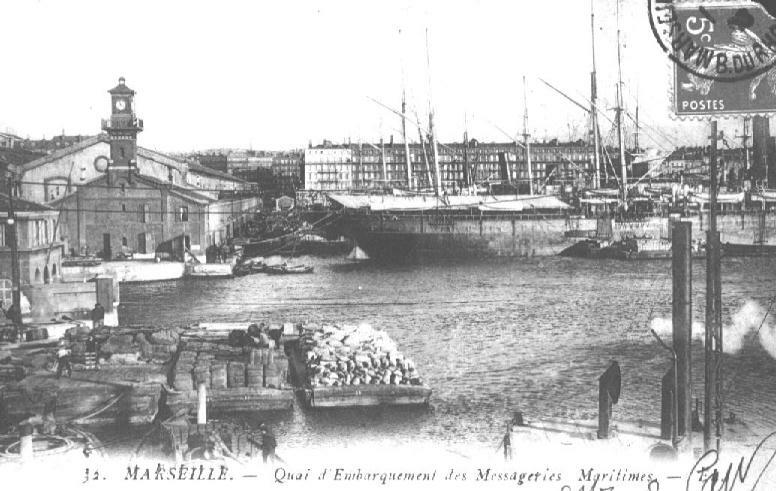 In 1851, a little ship owner from Marseille, M. Rostand, proposed to Ernest Simons, director of a terrestrial common carrier company: the messageries nationales, to mergte to create a common shipping carrier company, first called Messageries Nationales, then Messageries Impériales, and finally in 1871 the "Compagnie des Messageries Maritimes". 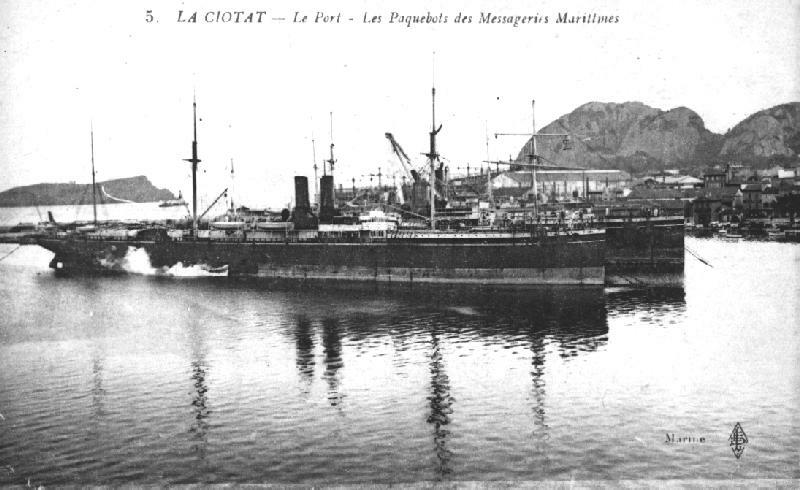 Two engineers, Dupuy de Lôme and Armand Brehic joined the project encouraging the purchase of the ship building yards of La Ciotat in 1849. In the beginning, the Company operated the middle-east routes. 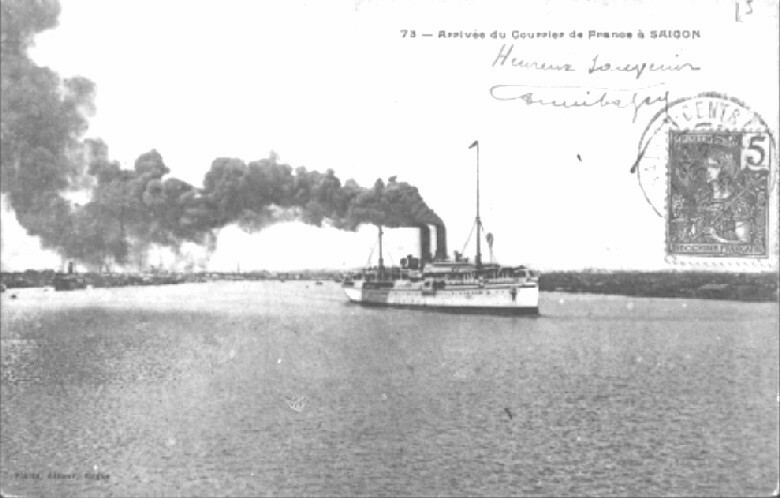 Its ships where the troops carriers of the Crimea war, and were so helpful for the army that the Emperor gave it as thanks the workings of the Bordeaux-Brasil line.This was the first french transatlantic line equipped with steamers. 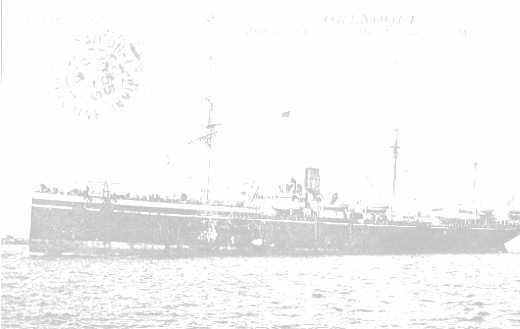 The following year, the Societe Generale Maritime (future Compagnie Generale Transatlantique) received the North Atlantic lines. In the Middle-East, the ports of call are Malta, Alexandria, Port-Saïd, Beyrouth, Syria, Smyrna, Constantinopolis, and the Black sea. 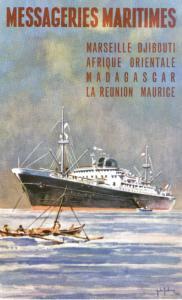 In the Indian Ocean, the line serves Mahé des Seychelles, La Réunion, Maurice, Zanzibar and of course Madagascar. But also the french establishments in India. In Pondichery, the inadequate harbour needs the use of "loading boats". 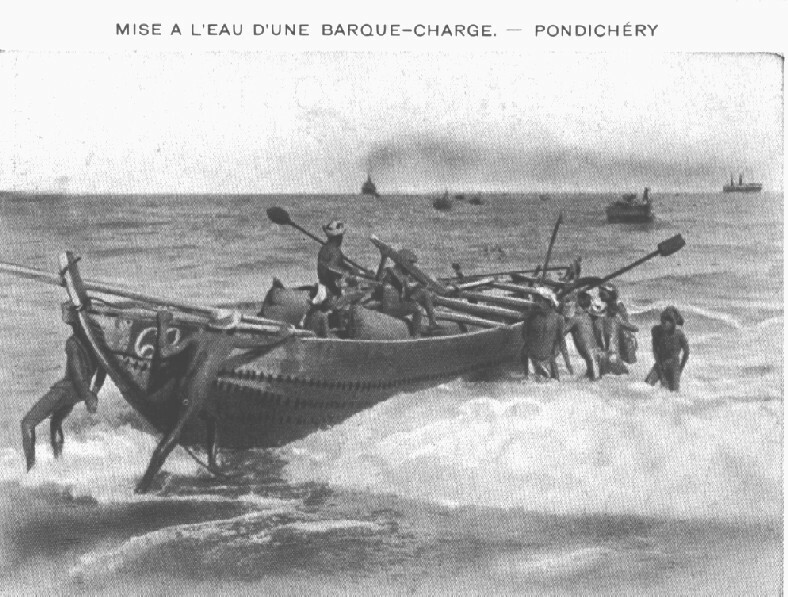 Pondichery: launching a "loading boat"
The Far East is the private field of the MM Company. 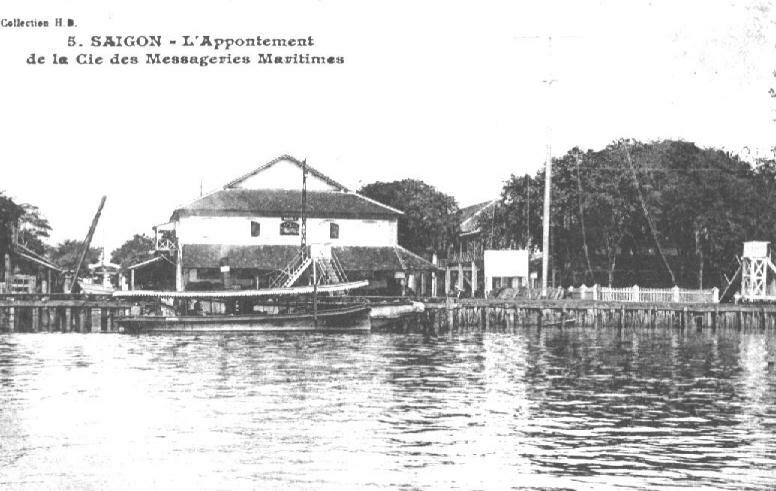 Saïgon was rapidly becoming the second homeport of the Company.The "stationnaires", ships of small tonnage afforded to the local lines departed from there. They go to Hanoï, Hong-Kong, Shangaï, Australia and New Caledonia. In the South Atlantic, the Bresil line goes as far as Montevideo. Less important, and above all less known, its homeport is Bordeaux. 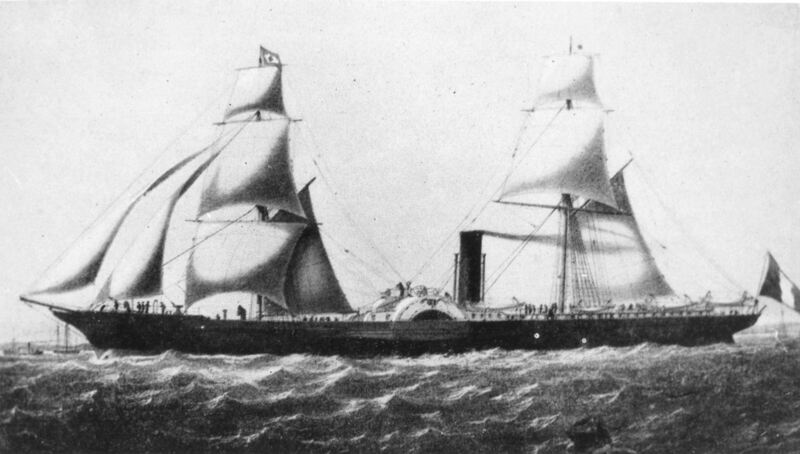 The first ships of the company, baught to the french government and to the Rostand Company were small paddle steamers built in 1836, quickly old fashioned. 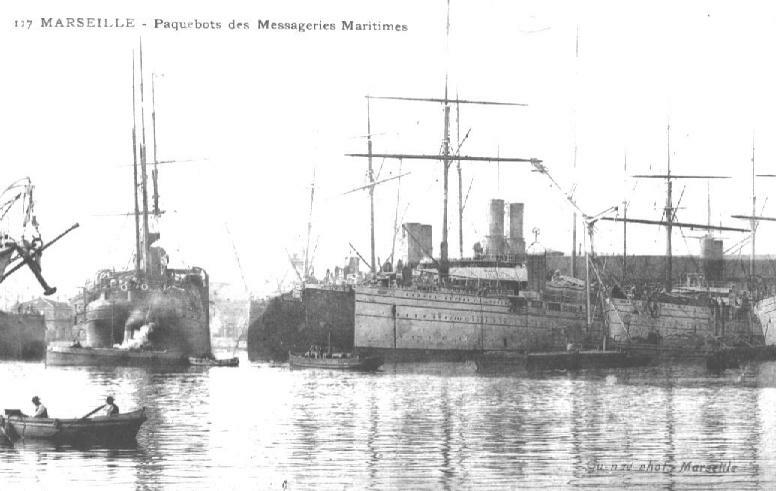 Immediatly in 1851, the Messageries Nationales (until 1852, then Messageries Imperiales from 1852 to 1870 and finaly Messageries Maritimes after 1871) Drive a policy of new ships building during all of the second Empire. 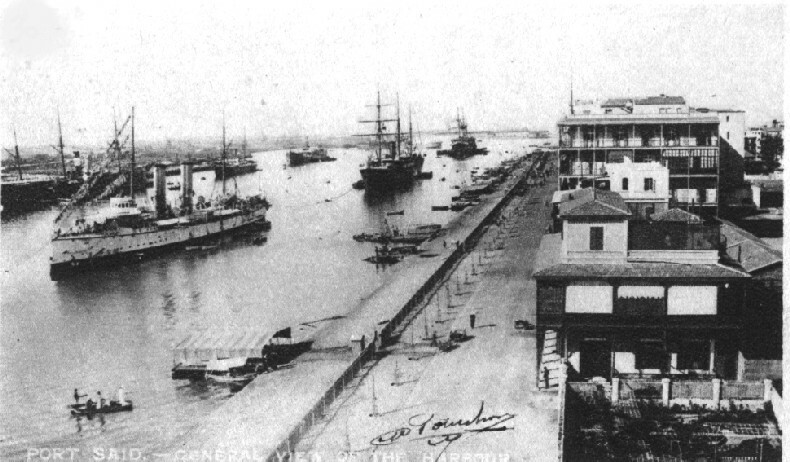 So for the inauguration of the Suez Canal in 1870 the Company were in perfect economical conditions for a big expansion, even on the traditionnal british lines. Unfortunatly the defeat against prussians in 1871 will stop this expansion for at least 15 years. 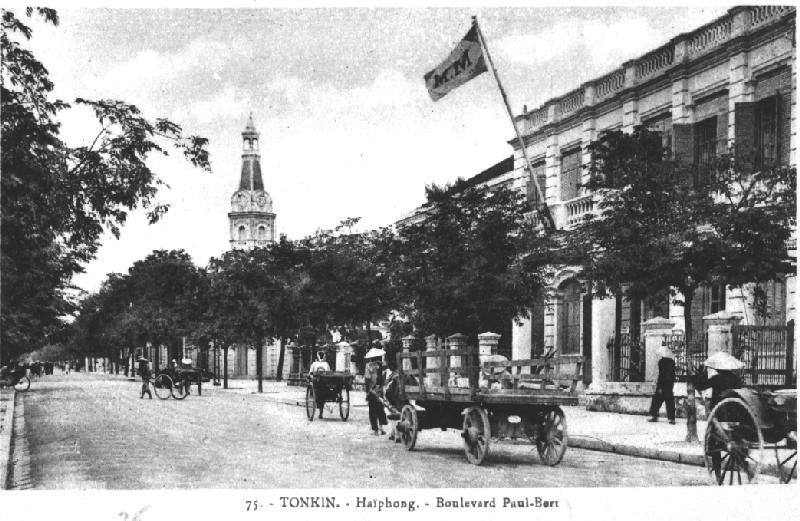 From 1871 to 1914,the Company is at the peak of its glory. Its ships cut across all the seas of the world. They are easily recognizable with their typical outline: low in the height and long on the water, the shortest ones (around 100 meters long) are built around a single central funnel. 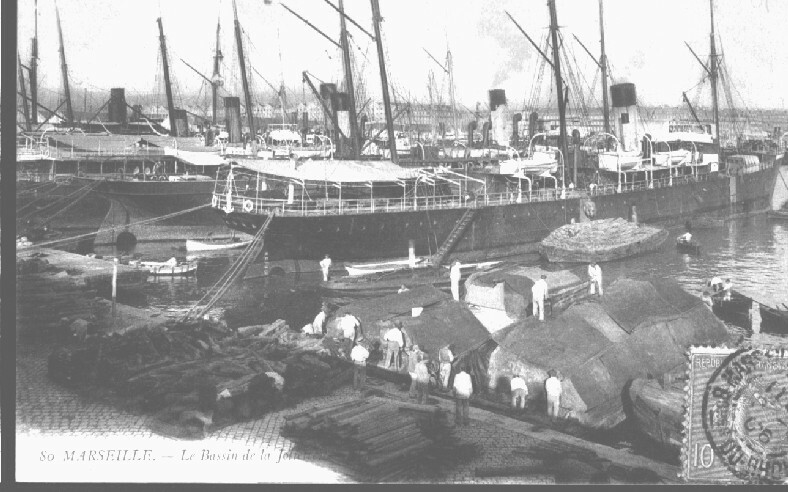 The larger ones (130 to 150 m) are even more typical, with their double funnel, and, in the 1895-1910's, their white paint. 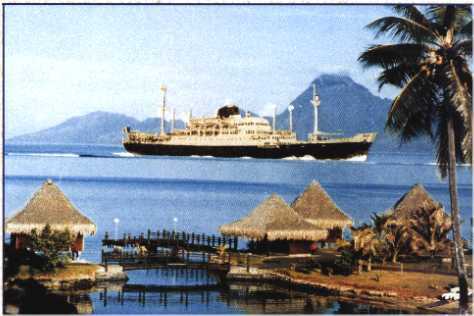 You'll find in the following pages a sample (non exhaustive) of the ships of that period. Each page features one ship, its characteristics, a short story of its life, and some pictures. 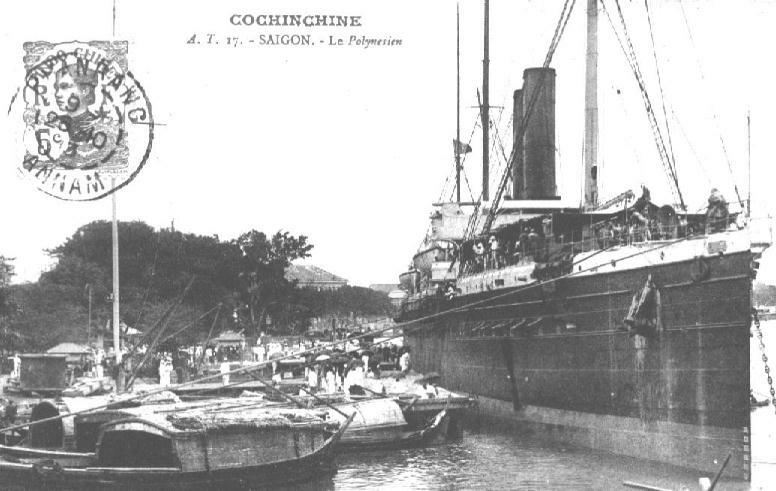 After the losts of the WWI (22 lost ships whom 20 because of the war), the fleet of the company was in 1919 paradoxically almost new. 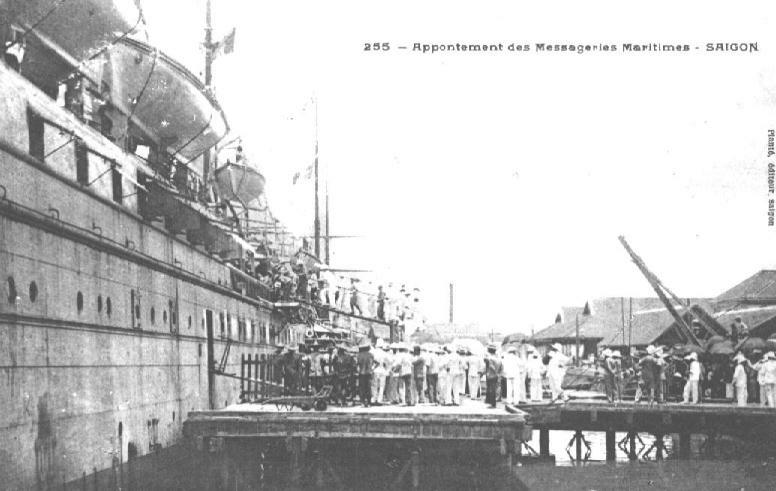 Indeed, it received german liners as compensation of its losts because of war, and all these ships where new because they stood during five years in the german harbours. 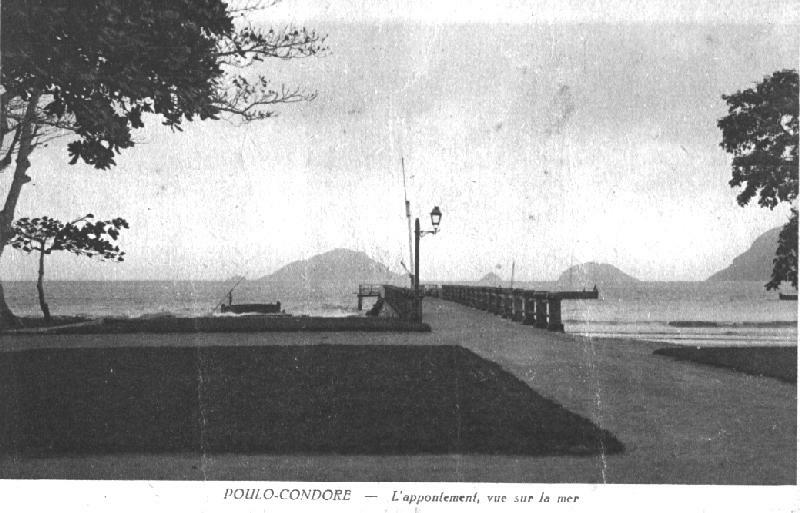 So the company didn't build any new ship before 1924 or 1925 with Champollion or Mariette Pacha. You'll find on these pages below some ships of this time, that is on the atlantic the time of the giant liners. But the MM company never built such giant ships. RMS TITANIC, Her passengers and crew: One of the more touching site I ever found on the Internet... The complete list of passengers with biographics, pictures, what they have done the night of the tragedy... Also deckplans with map of the cabins, pictures of inside, 3D drawings, etc... WONDERFUL site. 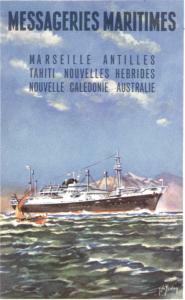 James Benton Ltd: very interesting bibliography about french postmarks on board of ocean liners. In 1979, a book about the history of the Messageries Maritimes was published . It is currently out of print, however it is due to republication in May or june of 1997. The book is more than 300 pages book, illustrated with many pictures and is the only one that has been published regarding the history of the company. The republished version shall be updated with some new pictures. You can purchase it by clicking here for the subscription form .